Ranjan Pramod, who has scripted some spectacular films in the past, returns after a six-year break with a love story titled Rose Guitarinaal. 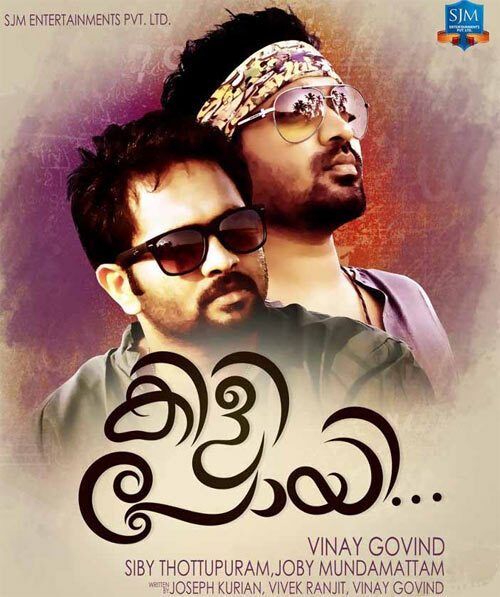 Vinay Govind's Kili Poyi and Binoy George's Omega.exe are the other two Malayalam releases on March 1. Ranjan Pramod had shot to fame as scriptwriter for films such as Randam Bhavam, Meesa Madhavan, Manassinakkare, Achuvinte Amma and Naran. Then he made his debut as a director with a dud, Photographer, and has been silent ever since. "I still believe that Photographer has been instrumental in starting the new wave in Malayalam cinema," he says. The events in Rose Guitarinaal occur in a span of 21 days, during Christmas. A girl named Thara (Athmeeya) falls in love and the film is about the incidents that happen in her life during that time. The three men who woo her have different perspectives on life. Joe (Manu) is a marketing executive in a bank, Shyam (Richard) is the CEO of a company and Binoy (Rejath Menon) is Shyam's friend. "I would like to call it an anthology of romance. It is also a triangular love story with a youthful mood, treated in a poetic and stylised way," says the director. Rose Guitarinaal is produced by Varnachithra Big Screen and presented by Color Pencils. Pappu is the cinematographer and Shahabaz Aman scores the music. Debutant director Vinay Govind's Kili Poyi is a whacky and mad journey of two youngsters. The film has got an A certificate and is said to be modelled on the Harold & Kumar series or the Hindi hit Delhi Belly. Kili Poyi has been written by Joseph Kurian, Vivek Ranjith and Vinay Govind. Pradeesh Varma is the cinematographer and Rahul Raj is the music director. Director Binoy George's Omega.exe is about the life of some software engineers. Advertising for the film says singer and actor Krishnachandran is facing the camera after 26 years. Iniya, who has done some Tamil films and was recently the heroine in Bhoopadathil Illatha Oridam, plays the female lead. Omega.exe is produced by 3rd Act Creations and has been scripted by Shaji Francis. PIX: Bollywood's HOT new item girls, coming up!